I was going to call this article “Cheap Clients”, but it’s not what you think, really… this is an article about using inexpensive iPods Touch devices and the free iOS version of FileMaker Go as ‘cheap network clients’ to access FileMaker databases on the move. Alerts about the changing status of these two categories of records. Take photos of outbound shipments. With the database design out of the way, the discussion turned to the size of the Shipper’s pockets. An iPad Mini was going to be too large to ride along on his forklift. An iPhone was discussed, but spending $600-plus for a device that would be primarily used without a phone plan seemed like too much. I remembered seeing the low-end iPod Touches (16 GBs) for around $200 and suggested one as an option. A review of the FileMaker forums confirmed that other developers were successfully using the iPods with FileMaker Go. The latest models come with a decently fast A5 chip, the camera is adequate and the touch screen allows for signature capture. The Shipper is always within WiFi range of the office so the connection would be solid enough that there would no need to build in data syncing. It would be a live connection to the database. The screen size is the same as the iPhone 5S and so prototyping it was straight forward. I could do this without buying any new hardware using my phone. When I had a working prototype, the company could invest in an iPod. If it didn’t work out, the iOS screens could be repurposed for an iPhone 6 or an iPad Mini. So we decided to give it a try with the iPod as the target platform. A few weeks later, we deployed it. So far everyone seems thrilled with the new system. Because of easy access to detailed PDF documents on the iPod, something that would have previously required a trip to the office, the shipper has already caught a couple of short shipments. We basically added a new ‘computer’ to the network that can access the company’s existing FileMaker solution for a grand total of about $250 (before my development bill anyway). It is pretty exciting when a mobile solution can be added to FileMaker for such a low cost. Make sure you get the latest iPod Touch, the one with two cameras. A salesman at a large retail bookstore in Canada, who shall remain nameless, (Ch__ters) passed off an older generation device to me. You can tell the newer ones because they have a small ‘button’ in the bottom corner that pops out in order to attach a lanyard to the iPod. 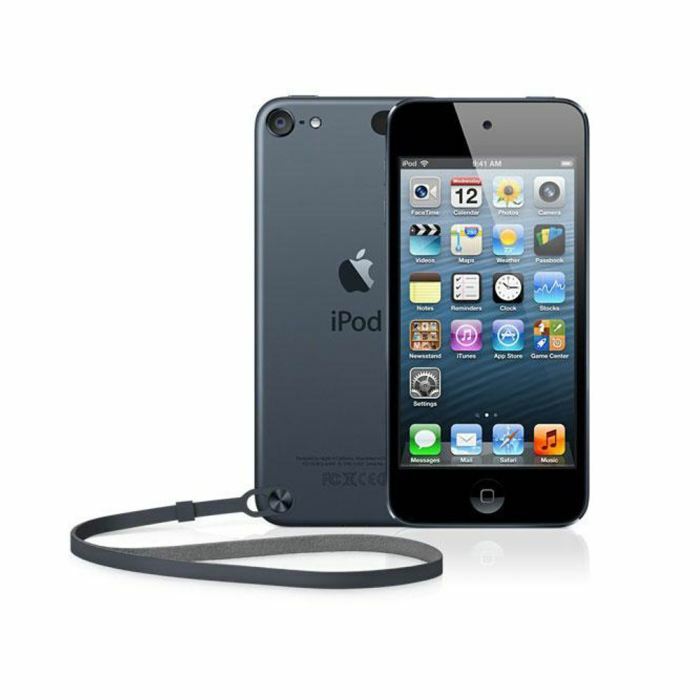 The older generation iPod Touch 16 GB devices only had a front facing camera. For our situation we needed a camera facing outward—no selfies required. iPod Touches have less RAM (512 MBs) than iPhones (At least 1 GB for any 5 model or up), so keep your layouts ‘light’ and avoid opening large PDFs in the viewer. My experience with a 1 MB PDF was that it required a restart of FileMaker Go to get out of a frozen, unresponsive screen. A review of the range of your office WIFI router is probably worth doing. We forgot to do this until part way through the project and deployment was delayed a few days to run an ethernet cable and install a second router to cover the full range of the back lot for the company. This project was using FileMaker Server 12, so it really was ‘free’ to add another user. If the company had been using FileMaker Server 13, we would have had to add another $200 license on the server to cover the FileMaker Go client. Each user accessing the database, whether by Web Direct, FileMaker Go or FileMaker Pro (Mac or Windows) is considered another license.